Welcome to Mariachis Mexican Restaurant! Mariachis Mexican Restaurant was the first Mexican restaurant in Lancaster, SC. We opened in 1996 and quickly became one of your favorite places to eat. Almost 20 years later, we’re still delivering delicious, authentic Mexican food at good prices. And you seem to agree: We’ve been voted the best Mexican restaurant for 10 years in a row by The Lancaster News “Best of the Best” Readers Choice Awards. 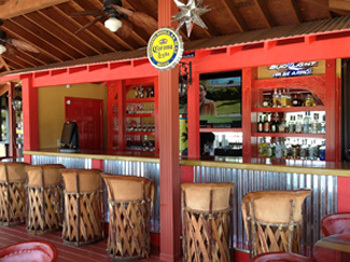 Our outdoor bar and patio are just two of the reasons why you should choose Mariachis for your next meal. We have live music every Thursday and a live mariachi band every Sunday. Plus, kids eat free on Mondays! We also have a Sunday liquor license. Our lunch and dinner menus feature many of your favorite Mexican dishes. We have something to suit all tastes, including fajitas, burritos, tacos, and combo platters. For lighter, healthier options, try our salads, wraps, and seafood specials. Need catering? 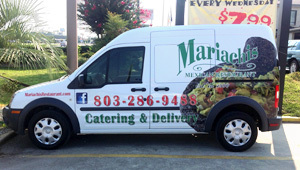 Call us today and let Mariachis handle your catering needs. We cater for meetings, church groups, parties, special events, and any other time you need good food for a crowd. You make the call and we take care of the rest! 1217 Hwy. 9 Bypass W.